Pull-up Progression: Test your Max Set of Strict Pull-ups! Note: Athletes choice of workouts today! Weight for the Sumo Deadlift Highpull is 95lb. for men and 65lb. for women. Dips are Ring Dips or a modification. Dumbell weight on the Burpee is 15lb. for women and 25lb. for men. Dumbells are held throughout the Burpee and the skill will be taught during class. 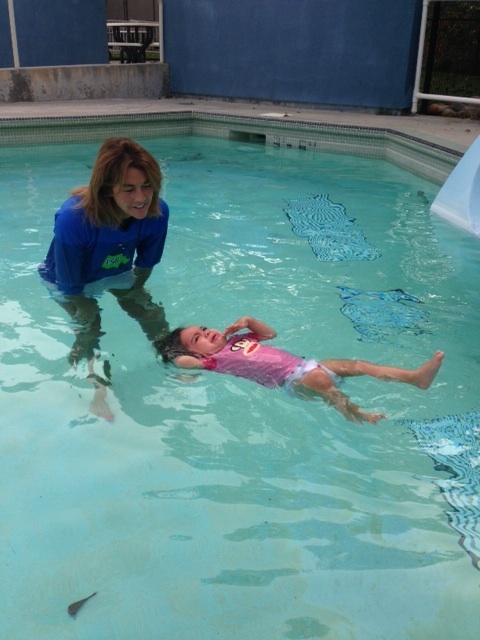 Rachel and Van’s daughter Grace can swim! Is there someone who teaches this in Santa Cruz?